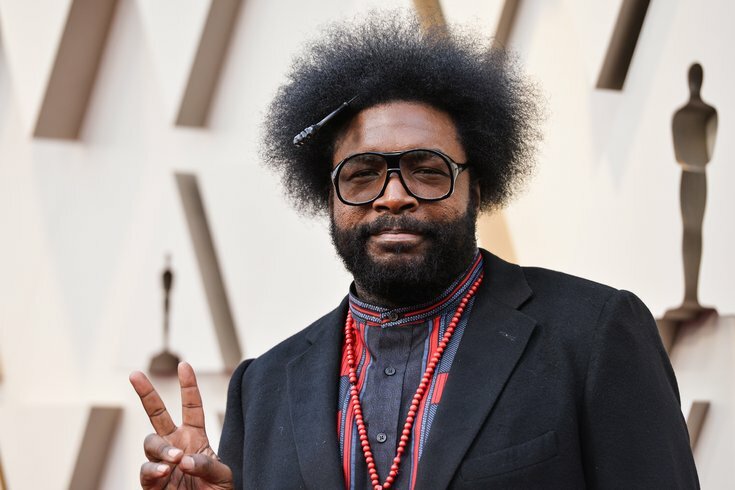 Questlove walking on the 2019 Oscars red carpet at the 91st Academy Awards held at the Dolby Theatre located at the Hollywood & Highland Center in Los Angeles, California on Feb. 24, 2019. Philly's favorite Late Night musician Questlove announced on Tuesday he's making more moves in the food world. The Grammy award-winning musican has partnered with vegan meat substitute company Impossible Meat to launch a plant-based cheesesteak sandwich. It's called the "Questlove Cheesesteak" and it'll be sold as early as March 28 at all 81 Phillies home games at Citizens Bank Park. It will also be available at The Met and BB&T Pavilion this summer. This isn't the musician's first foray into food — in fact, he was nominated for a James Beard Foundation book award for his book "Something to Food About: Exploring Creativity with Innovative Chefs." He's been featured on "Parts Unknown" with Anthony Bourdain and has been featured on "Top Chef," too. The "Questlove Cheesesteak" will not just be sold in Philly, either. Over the next few months, Live Nation will add the sandwich to their menus at 40 venues across the U.S. According to Forbes, Live Nation had the first concert venues to add Impossible Meat to its menus. In other Questlove news: The Philly favorite announced the 2019 Roots Picnic would change venues to the Mann Music Center this year. Here's the lineup and more details.